The water sparkles turquoise and the sand gleams white as the warm sun shines down on vacationers. Magnificent resorts and exotic excursions are only a couple of things that draw in tourists from far and wide. Along the West Coast of the Yucatan Peninsula is where you will find Mexico’s Riviera Maya, a tropical paradise catering to a variety of travellers. Here the water sparkles turquoise and the sand gleams white as the warm sun shines down on vacationers. Magnificent resorts and exotic excursions are only a couple of things that draw in tourists from far and wide. What type of travel do you prefer? 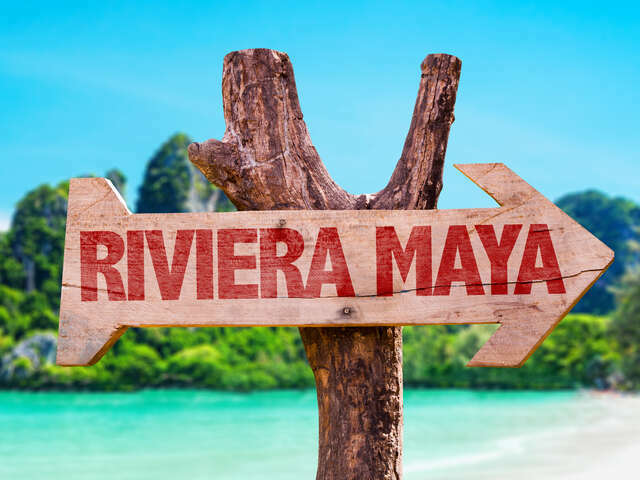 The Riviera Mayan is home to many eco-parks, such as Xcaret , which is popular with kids and adults alike. This destination is full of Mayan culture, exotic animals and lush flora. You may also want to visit the town of Akumal to check out the serene beaches and watch for turtles returning for the mating season. Snorkel in Akumal Bay for a close encounter. The beaches are as beautiful as they are relaxing in the Riviera Maya. Couples looking for a quiet romantic getaway often choose Isla Mujeres (Island of Women), but countless hotels along the coast offer all-inclusive honeymoon packages. Love water sports? You’ve come to the right place! Riviera Maya is perfect for scuba diving and deep sea diving, notably off the coast of Cozumel, Mexico’s largest island. Alternatively, tourists can also explore the underwater grottos around Rio Secreto . The climate here is also suited to golf and kitesurfing. Choose your own adventure! The Mayan ruins in Tulum are a jewel in the Mexican crown and are often seen in photographs. The site offers an exceptional experience for archaeology lovers and history buffs and once you have finished exploring the area there is a beautiful beach set just below the ruins, making for an outstanding backdrop for a refreshing swim. Weather here is mild most of the year, with the preferred time to go during November to April. Transat Holidays has something for every preference and budget. Ask us to help you plan your next sun vacation.